The one dish from Taiwan that I miss the most is the beef noodles. Of course, I didn’t miss the chance to quench my desire on my last trip back to Taiwan. 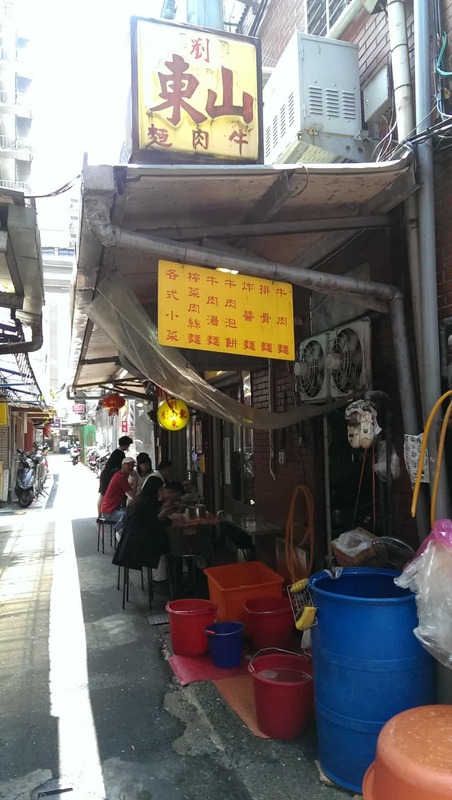 It is not difficult at all to find places that sell beef noodles in Taipei city. You can easily find one at a low price (~NT$100) at a hawker stall or one that is ridiculously expensive (~NT$1000) at a restaurant. What’s difficult is finding one that is delicious and cheap. Since Kev had never had authentic Taiwanese beef noodles before, I was determined to introduce him to the world of beef noodle tastiness. After hours and hours of online research, I found this highly recommended little restaurant near Taipei train station. It took us a while to find it because it is hidden in a small alley. The menu is hanged on the wall. All written in Mandarin. (Note: Most local restaurants only have Chinese menu. 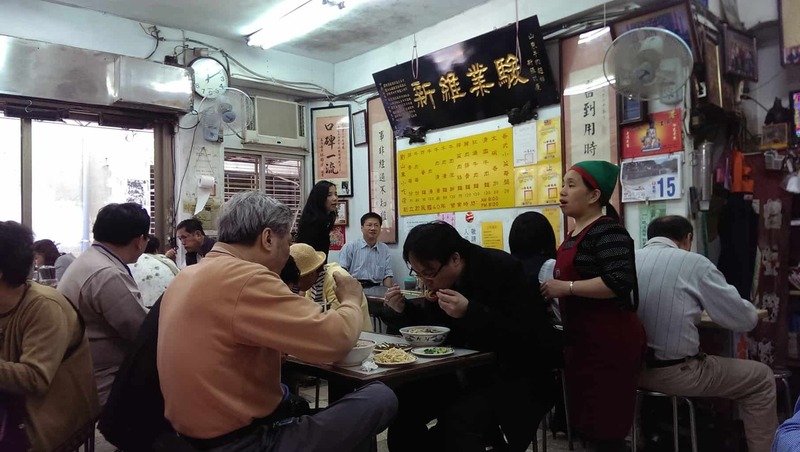 Occasionally, you might come across popular restaurants, e.g., those commonly visited by tourists, that have Japanese or English menu) The wall is filled with the newspaper and magazine articles the restaurant was featured in. The clear broth beef noodles (NT$130) seems to be quite popular. I like strong flavored broth so I ordered the braised beef noodles (NT$130) instead. I highlighted it in the picture above with red rectangle. If you want a larger portion, you can pay extra NT$20 to upgrade it. 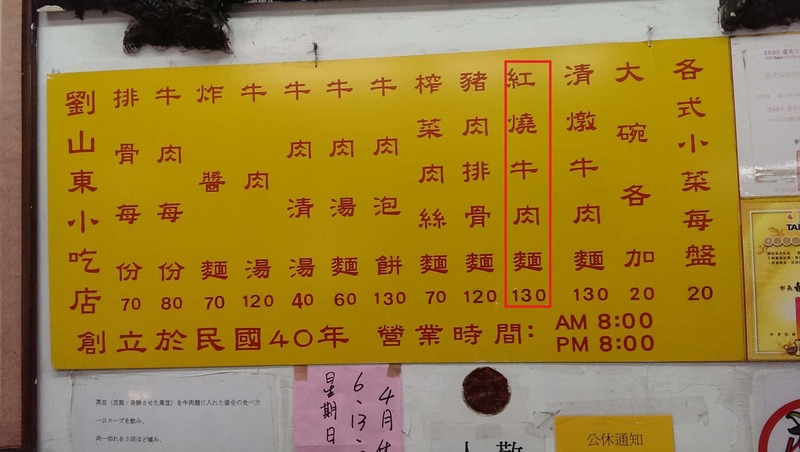 If you want extra beef, you can order a plate at a cost of NT$80. Here is my braised beef noodles! The regular portion is quite big actually. I was surprised to see that the beef chunks filled up about half the bowl. The beef couldn’t have been more tender. The broth tasted a bit herbal, but had a natural sweet taste to it. The noodles were almost as thick as Japanese udon but not soggy at all. I was soooo satisfied. Thumbs up! 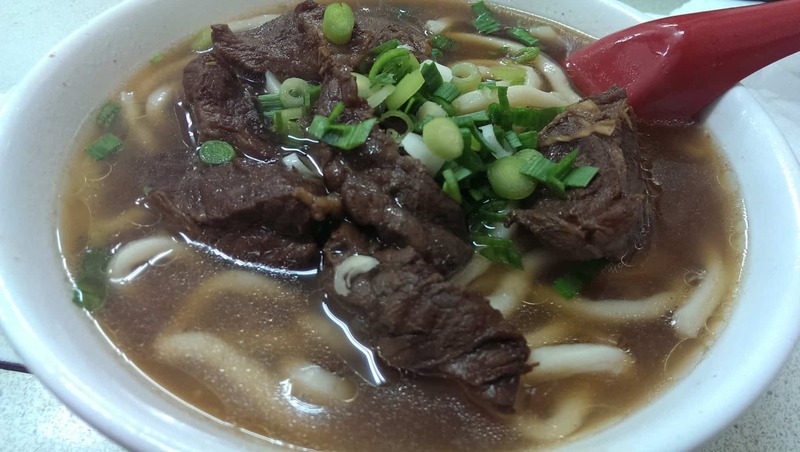 If you are visiting Taiwan, don’t miss out on the beef noodles. It is absolutely delicious!